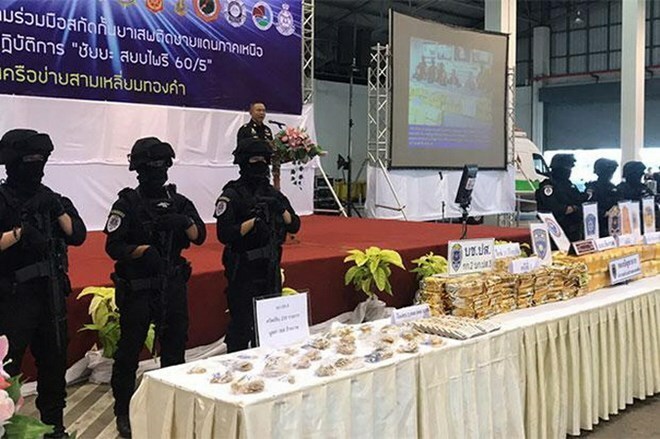 Hanoi (VNA) – A record haul of more than four million methamphetamine pills was seized in northern Thailand, said Thai police on August 17. In an announcement, the police said they have seized 4.1 million methamphetamine pills and 200kg of ketamine in a two-storey house in Mae Sai district of Chiang Rai province, 860km north of Bangkok. Other exhibits were also confiscated. The drugs were suspected to be smuggled across the Thai-Myanmar border and destined for an alleged drug trader in Phrae province of Thailand. Two suspected male drug traffickers were arrested. According to investigators, they had lived in the northern province of Lampang and admitted renting the house to hide the drugs and then deliver them to other traffickers.